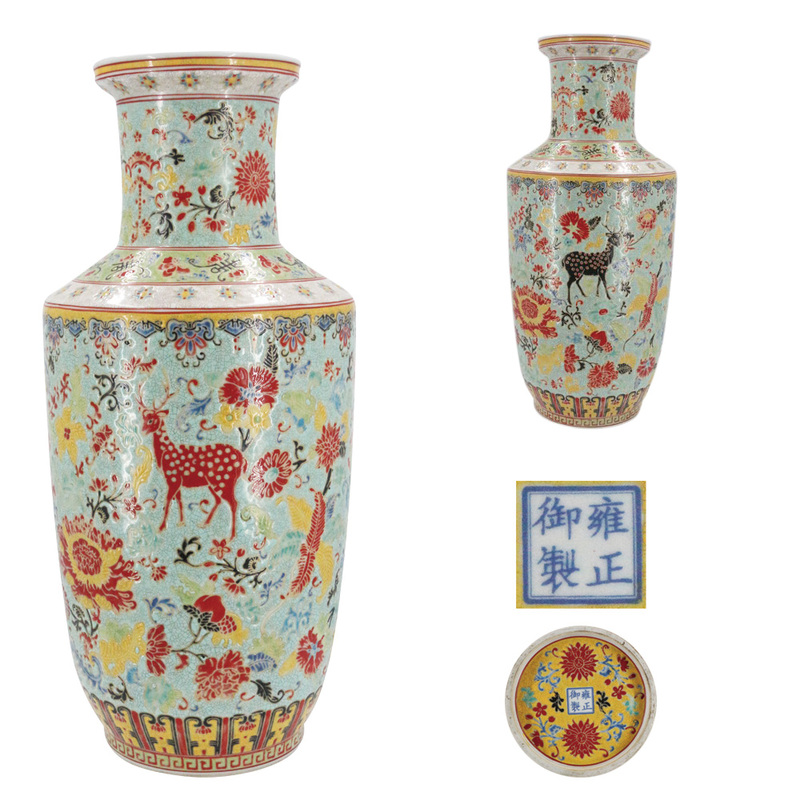 The collection is magnificent style of mallet bottle manufactured at the official kiln in Yongzheng period, Emperor Yongzheng and Yongzheng year words means are both official, but Emperor Yongzheng style refers to a better quantity made specially for emperors, the mouth is straight, the shoulder is bulging, the lower bearing is sufficient, and it is named because of the shape of a baton, the shape of which is similar to that of a mallet. Its abdomen is flat and wide, suitable for various types of design, its design is ingenious, the composition is clever, colorful flowers meant to connect, the face is dense and not turbulent, flower distribution has its own primary and secondary, gently spread, and see a soft posture. Deer with its head propped up, its interest is transgressed. Sika deer is even more auspicious in China, it symbolizes auspicious, long-term, overbearing, peony flowers mean rich and precious and life of the Chinese culture and art, the high character of the Chinese people's Republic of China, should be the best interpretation of this historical reality.